In July 2018, Arabic forward Hamza Younes joined Aris Thessaloniki FC (Greece), whom he is still playing for. Stunning 76% of Aris Thessaloniki FC's football players are right footers and so is Hamza Younes. Since he came into world in 1986, to be more precise April 16th, the forward is four years older than Aris Thessaloniki FC's average player. With a height of 1.86m, he exceeds Aris Thessaloniki FC's mean tallness by 7. 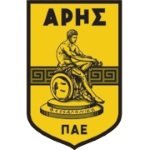 These days, Hamza Younes' team Aris Thessaloniki FC comes fifth place in Super League (Greece) plus third place in group Gr. 4 of Greece Cup (Greece). He played 22 matches this season. Considering he weighs around 176.37lb, Hamza Younes is approximately 12lb heavier than the average player of Aris Thessaloniki FC. 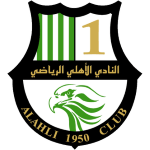 He was contracted to a few clubs during his professional career, one of them being Al Ahli Doha SC, for whom he played before coming to Greece. 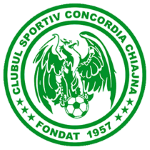 His shortest spell with a club was just four months in CS Concordia Chiajna (Romania). 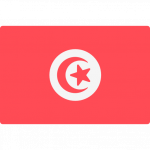 Three years and a day was the maximum period Hamza Younes ever played in a team, which is Tunisia (Tunisia). He received the number 21 tricot at Aris Thessaloniki FC. Altogether, he was substituted in 46 and out 52 times. Currently, he entered the pit more than he left it which is different to last season wherein he showed an equal amount of both types of subs. In his footballer career, a total of 27 cards were ascribed to Hamza Younes. While thus obtaining an average of 1.69 cards per term, he has not even gotten any yet, for now. In the recent term, he managed to find the net seven times and provided not once additional assists which accounts for 18.9% of Aris Thessaloniki FC's goals in Super League 18/19 (Greece). He scored an average of 0.3 goals and provided 0 assists per game so far, marking a slightly impaired performance when compared to last season, when he had 0.4 strikes and 0 assists per match. In terms of top seasons, the Super League 16/17 (Greece) was his best one yet, breaking two personal records in terms of not only goals but also assists. Throughout his professional career, Hamza Younes participated in 169 games, the last appearance being today. 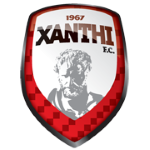 In terms of winning, his team was able to do so in 50% of Super League's and in 33% of Greece Cup's matches. 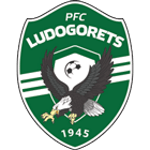 He is playing as forward in Aris Thessaloniki FC together with Dimitrios Diamantopoulos, Daniel Larsson and Andreas Stamatis.